What is Portland Tenants United? What are some defining beliefs of PTU? Housing is a human right. We all have a right to a safe, secure, and habitable home. Fulfilling this basic human need is critical to maintaining healthy communities and a just and equitable society. Tenants have the right to rent available housing in their communities without discrimination based on race, color, ethnicity, national origin, religion, gender, sexual orientation, political ideology, lifestyle, age, family status, marital status, source of income, disability, non-violent criminal record, health history, rental history, credit score, or subjective assessments by housing providers. Tenants have the right to stability, predictability, transparency, and accountability with regard to all contractually bound housing expenditures. Housing providers supply a critical public service that should serve primarily as an investment into the health and welfare of the community, not as a vehicle of personal wealth. As such, they must prioritize the stability, welfare, and dignity of their tenants over the profitability of their property. Tenants have the right to a reason, to a remedy, and to remain; they will not be displaced without cause, or without recourse and relief from the burden of displacement. Tenants have the right to advocate for their rights as tenants and citizens, and to assert their beliefs and opinions, without risk of retaliatory action that could adversely impact current or future tenancy. Tenants have the power, the right, and the agency to organize for mutual aid and protection, and to determine the rules and conditions of their tenancy through collective bargaining and other means. In order to challenge the exploitation of tenants by housing providers and moneyed interests and to dismantle the current landlord-tenant paradigm, tenants must organize for alternative housing models such as public housing, supportive housing, collective ownership/management models, and cooperative living. What Is The Structure of PTU and How Is It Organized? PTU is essentially structure according to our Bylaws. These were established from the beginning, and have guided us as an organization. 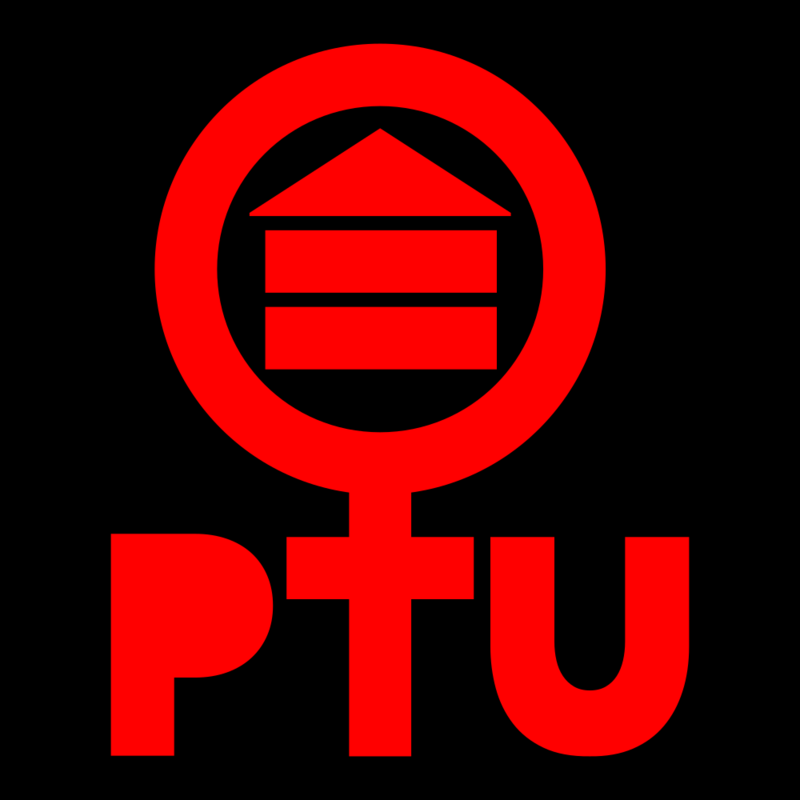 PTU is organized into a handful of working groups, which perform the individual tasks that make us a functioning union. These include, but are not limited to: Organizational Committee(OC); Direct Tenant Organizing(DTO); Membership; Outreach, Advocacy, and Coalition Building(OAC); Communications; and Equity. PTU has done a number of things since our inception around the Fall of 2015, when Portland was declared to be in a Housing State of Emergency by former Mayor Charlie Hales. For one, we have worked to help tenants of the Ash St. Apartments, where they received a 40% rent increase. With help from PTU, tenants were able to successfully negotiate more favorable move out dates, and some tenants won court cases including relocation assistance for one tenant. We also helped the Chestnut Court Tenants Union win recognition from their landlord. They’ve used their new power to win repairs on old units and successfully negotiate a fair lease. We recently acted as the driving force behind City Commissioner Chloe Eudaly's emergency relocation ordinance, in light of the housing crisis. Sweet! How could I get involved? You can email info@pdxtu.org, or connect with us on Facebook! We also have a Youtube Channel if you want to see actions we have done. If you want to become a member of PTU, check out our MemberPlanet profile! These three Reflections were a product of my work and time with PTU as I incorporated aspects of my capstone course at Portland State.